This week-long sale ends on March 24th. Domino's is offering an online-exclusive deal that takes 50% off all of its menu-priced pizzas. The deal runs through March 24th, and you can order directly from the Domino's website. While you have to order digitally, the promo is good for both delivery and carry-out options. 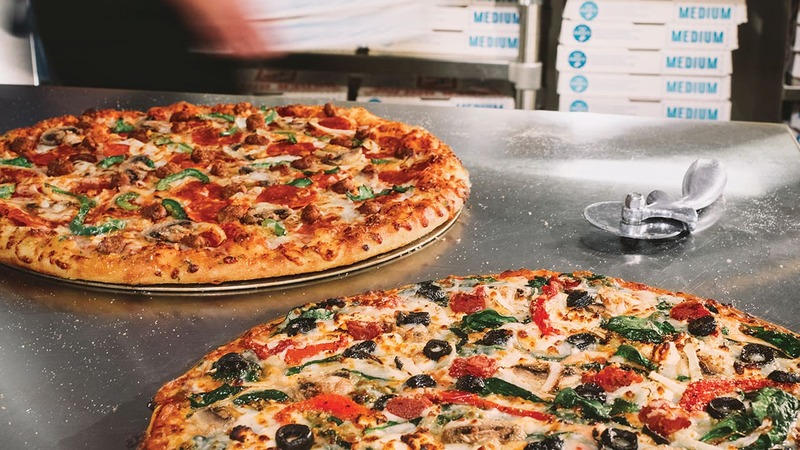 You'll get the biggest bang for your buck on Domino's specialty pizzas, since they tend to be pricier than the normal one or two-topping pies. For example, Slickdealer Relik says, "This is the only time I get Domino's. I usually buy 2 16" X-Large Brooklyn Style ExtravaganZZa pizzas and change the toppings around. You get 8 toppings or 7 + extra cheese. I put the 2nd pizza in the deep freezer. One of these pizzas comes to $10.01 after tax with pickup." There are, of course, a few limitations with this offer, especially when it comes to customizing your options. You may notice that certain toppings, sauces and crust types cost extra when you check out. Some locations may also have a price minimum to qualify for delivery, and as Slickdealer frozenthorn pointed out, there's typically a $2.99 delivery fee. Prices may vary depending on your location. You can find the Domino's closest to you here. In addition, this offer is only available at participating locations. Be sure to confirm that your location is eligible before completing your order. And remember, set a Deal Alert with us to stay up to date on the latest discounts from Domino's. Shout out to Slickdealer sr71bb for posting the original deal thread!